The Bajaj will launch 400cc bike Pulsar VS400 in India in August 2016. This bike will be the first bajaj 400 cc bike. The bike concept was called Pulsar CS400. 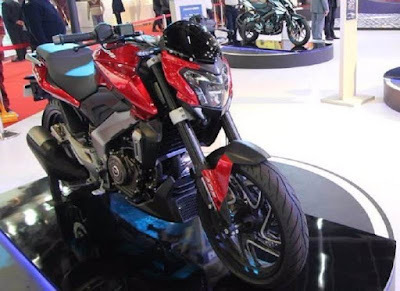 The Bajaj Pulsar VS400 will have 375cc, liquid cooled, single cylinder engine which will able to produced 35 PS power against the 33 NM torque.The bike will have 6 speed gearbox. The price of the bike will be between 1.5 lakh to 1.7 lakh (ex showroom). The bike will have single drilled disc brakes having single ABS channel. While the concept model was equipped with USD forks up front, the production model is equipped with the regular telescopic forks. The rear axle comes with the mono-shock setup. 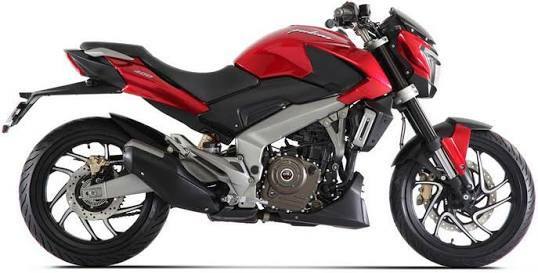 The Bajaj will launch its all new Pulsar VS400 in India in August Last this year. So if you planning for any sports bike then Pulsar VS400 surely the one to get. We will tell you the reasons why Bajaj Pulsar VS400 should be your next bike. New Design - Having the mixed looks of Cruiser and Street Bike Pulsar VS400 is fully loaded with some good features. Ducati Styled Cluster: Inspired by the Diavel The Bajaj Pulsar VS400 is the first Bajaj bike to get all digital Instrument Cluster Setup. It will have 373CC single cylinder, fuel injected, liquid cooled engine. The engine will produce power of 40 HP and 32 NM torque.